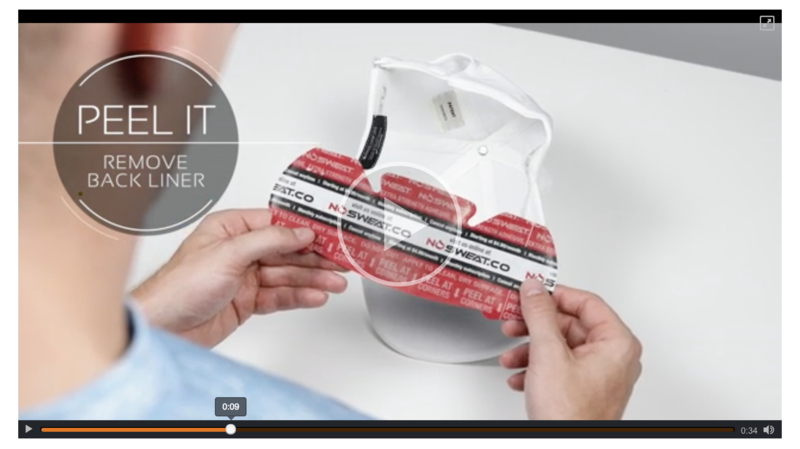 Add Video to Your Amazon Product Listings! Enhance your Amazon listings with video! If a picture is worth a thousand words, how many words is a video worth? How many sales can a video generate? According to Adobe, shoppers who watch demo videos are 1.81 times more likely to make a purchase than non-viewers. And a 2017 study by eMarketer found that four times as many consumers would rather watch a video about a product than read about it. So, what does this all mean for you? Well, if you’re a seller enrolled in Amazon’s Brand Registry you may now be eligible to add video to your product listings. Video can give you another opportunity to talk directly to customers. It can help to answer any outstanding questions they have and neutralize negative customer reviews. With this new video option, sellers can showcase their product’s multiple uses and styles, and provide more clarity about their product’s features. While lifestyle photography can showcase the ways customers can use your product, video can help to illustrate further where and when to use it, how to wear it, or how it operates best. It can help convince a shopper to purchase your product. Does it make their life it easier? Is it more stylish? Perhaps it just means that they’ll have more fun. 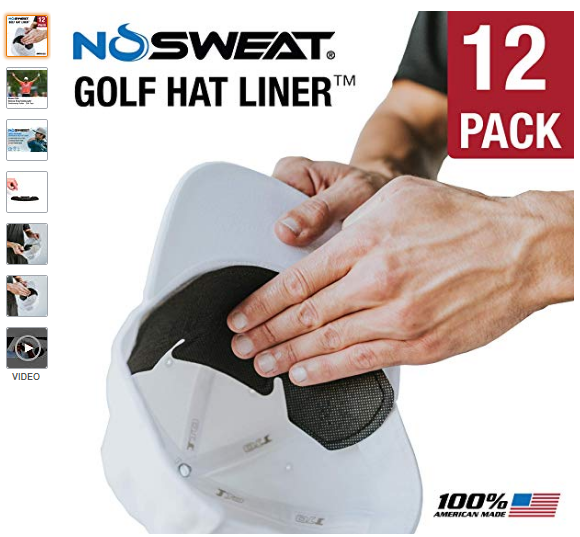 NoSweat uses video to demonstrate how to properly install their patented hat liners. With a minute or less of your customer’s attention, you can highlight your product’s defining characteristics. For example, let’s say you make a phone case that will keep a screen from cracking under any circumstances! A video could be the best way to demonstrate the strength of the screen. Pro Tip: Keep in mind your video’s length! The average user sticks around to watch about 30 seconds worth of material, but, if you haven’t captured their attention within the first nine seconds, they’re already gone. Video content performs well on all devices from computers to tablets to mobile phones. This expands video’s reach and makes it more user-friendly and consumer-focused. 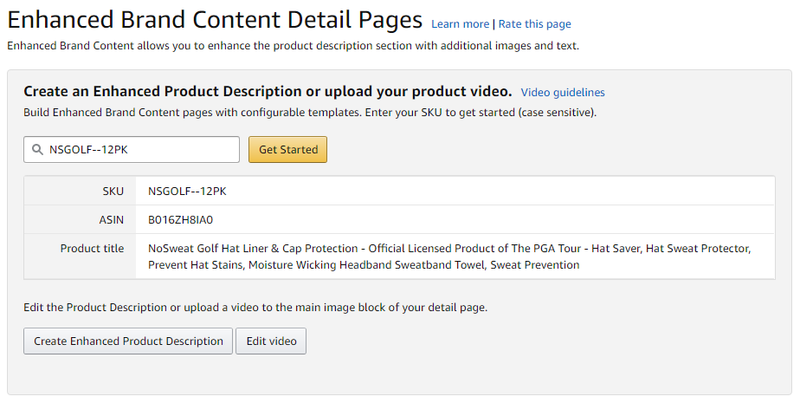 Pro Tip: Before you start crafting your video content, be sure to make yourself aware of Amazon’s many video policies! 1. Log into Seller Central Central and select Enhanced Brand Content from the Advertising tab. 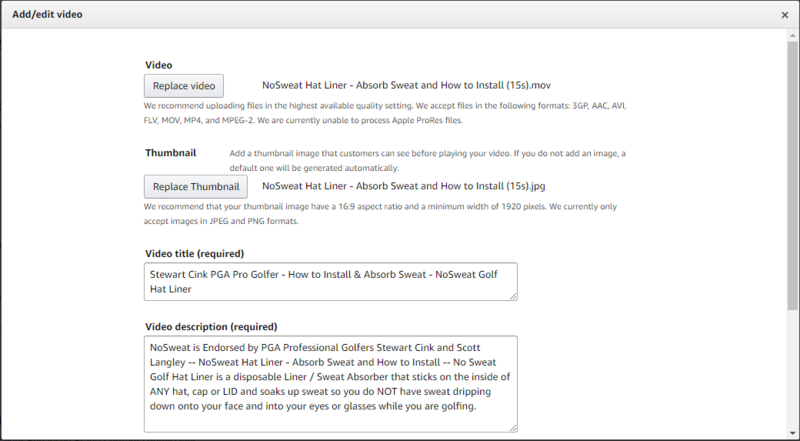 Select the SKU that you would like to add the video and hit the ‘Get Started’ button. Upload your video file. Amazon accepts 3GP, AAC, AVI, FLV, MOV, MP4, and MPEG-2 files. 2. Fill out the Video title and Video description. While customers will not see this, Amazon will use the description for video categorization. 3. ‘Submit Changes’! Remember, your video will not automatically appear on your listing. It can take up to six hours for videos to be uploaded to your listing. Once your video is live it will appear under the image thumbnails on your listing page. 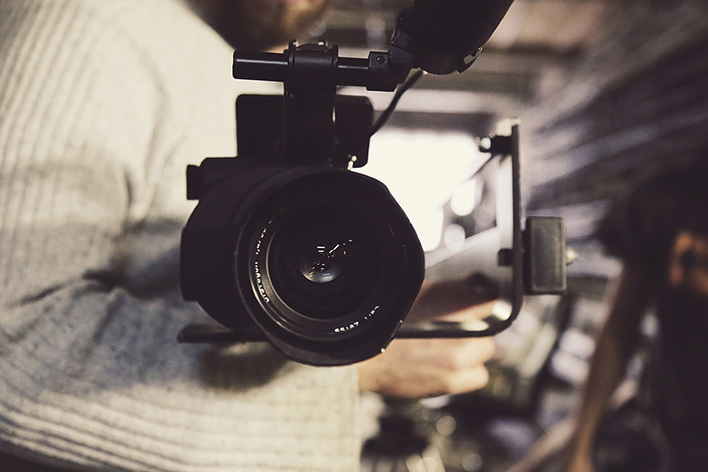 By using video effectively, you can enhance the shopping experience for your customers leading to higher conversion rates and increased sales for your brand. Good luck sellers and videographers!